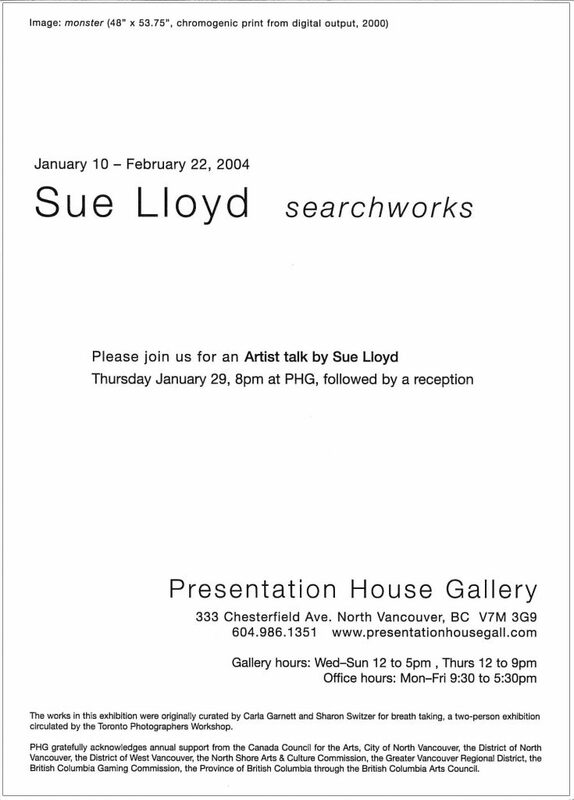 This solo exhibition by Toronto-based artist Sue Lloyd will present a selection of large colour works produced in 2000. Lloyd, who teaches photography at the University of Toronto, explores the structural, gendered and psychologized world occupied by swimmers and those with whom ‘swimmers’ must share their space. The dramatic structure of her images is immediately recognizable as one modeled after Levi-Strauss’s proposed ‘collective cosmology’. The upper and lower worlds in Lloyd’s images are divided by the water’s surface; women own the underworld, men the world above; the women seem to know what they are doing, the men are looking for something. 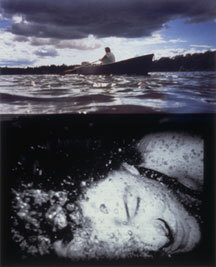 In the gallery the viewer sees the works resting on shelves, as if their time is temporary – which is true. 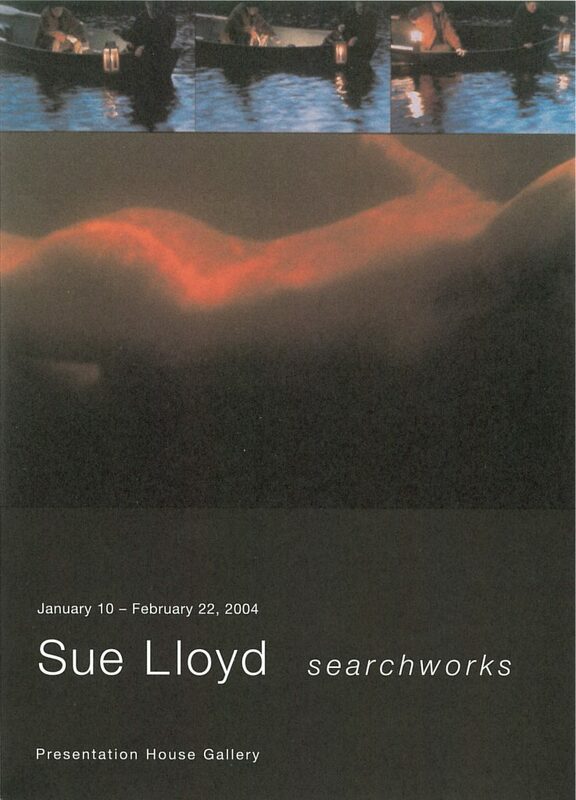 This work is a continuation of gender research that Lloyd has conducted in work over the past decade. This exhibition is a version of a show that was originally organized as a two-person touring exhibition from Toronto Photographers Workshop.